Each year seniors die in their homes from preventable fire hazards. 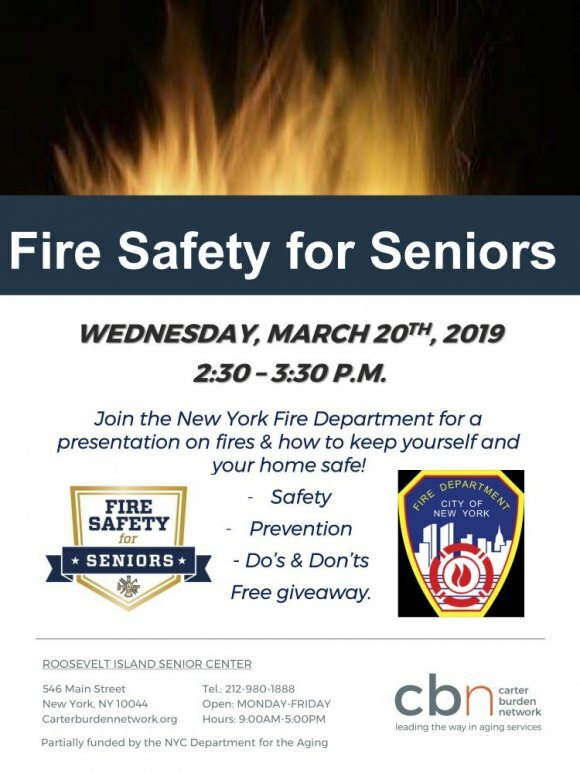 On March 20th, from 2:30 to 3:30 p.m., you're invited to a presentation by the Fire Department of New York that will teach you how to avoid being a victim. Place: CBN/RI Senior Center, 546 Main Street, Roosevelt Island.